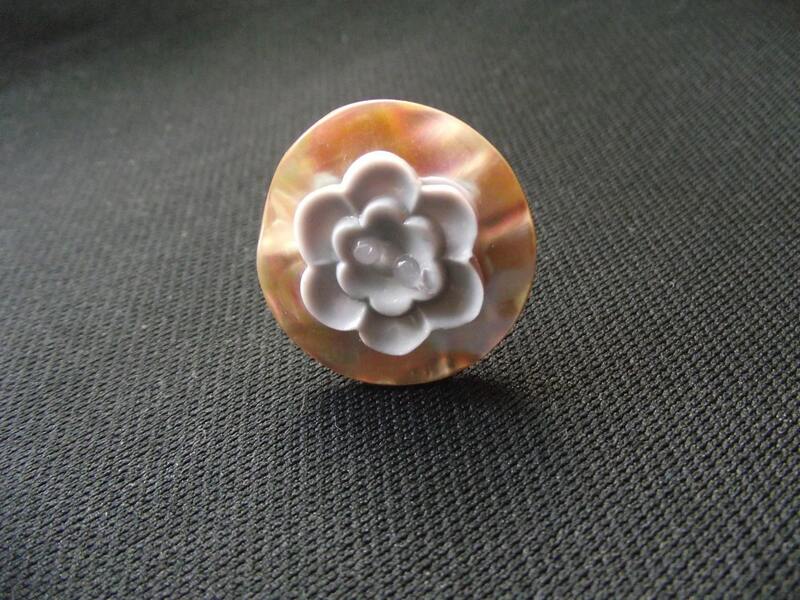 This is a vintage mother of pearl button and lilac flower vintage button adjustable ring which has been made out of an adjustable blank ring finding, a vintage mother of pearl button and a lilac flower-shaped vintage button. The mother of pearl button and the lilac flower-shaped button are approx. 50 years old and are from my Mum's own button collection!